Where do you get your recipes from? Family? Cookbooks? My blog (oh, please!)? My favorite place to hunt recipes is on Pinterest. You can follow my Foodie Fun board HERE. I have a huge stash of cookbook I still readinf like romance novels but Pinterest has so many recipes that are from tried and true culinary bloggers. Foodie blogs are my guilty pleasure! When I have a few minutes in a day I check out what’s cooking on my favorite blogs and Pinterest! 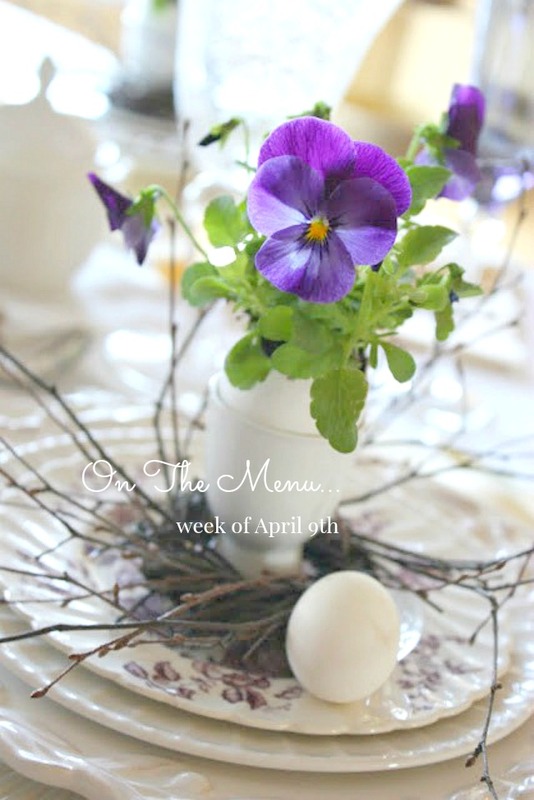 Now here’s what’s on the menu this week! 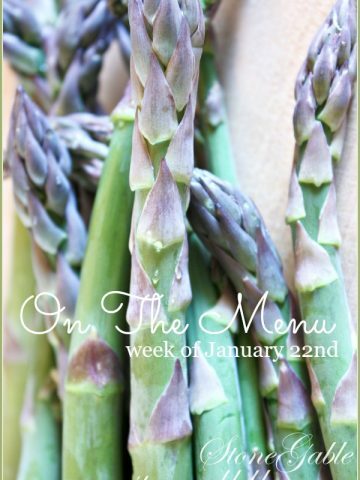 Look for a post about why I menu plan this week. If you like ON THE MENU you will love this post! I’m a casserole gal! I do love when delicious flavors marry into a culinary treat. I can’t wait to try this easy peasy recipe! And I think it will be an amazing addition to take to a potluck! This is a “pantry” recipe. I usually have everything on hand in my pantry and frig! These fajitas are a huge family favorite. They were first made my sister Lisa, the chef. And we all LOVE them. 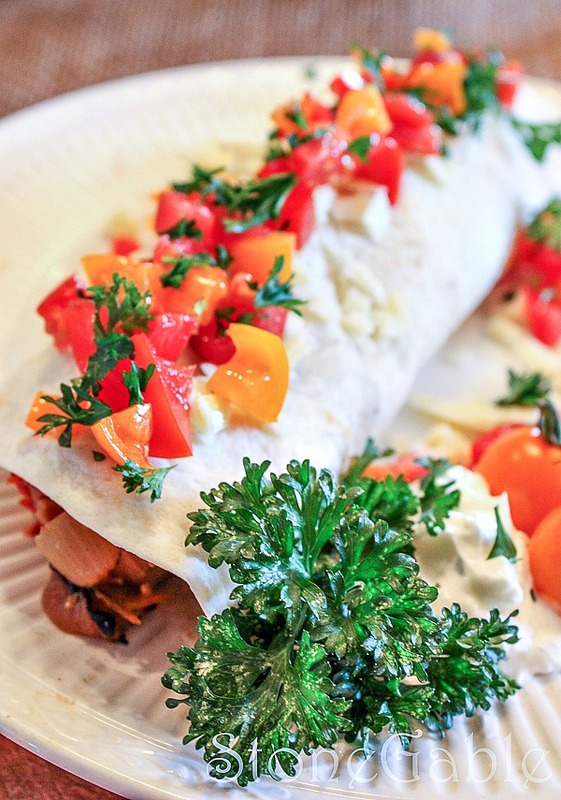 If you try one thing this week Killer Fajitas should be it! I call pesto “green gold”. I think it is one of my favorite flavor profiles. I make my own and (not bragging, just truth) it is simply the best! 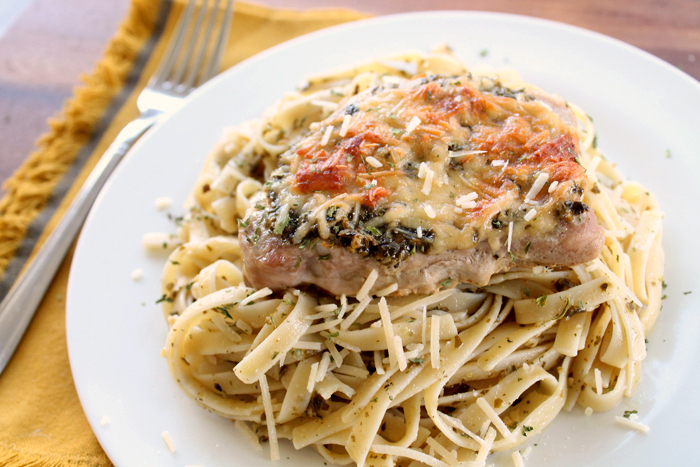 I’ll use my own frozen pesto for this dish. You can see the recipe HERE. Or find the pesto at Costco in the refrigerator section. It’s pretty good! And that’s saying something I am a pesto snob. This recipe looks and sounds amazing! I love easy recipes for when my day is ultra busy! Dump and bake sounds great to me! I’ll be using Grandma Lo Bianco’s meatballs that I have in the freezer. They are so worth making ahead and keeping on hand. I’ll just thaw and quarter them and add them to the casserole. 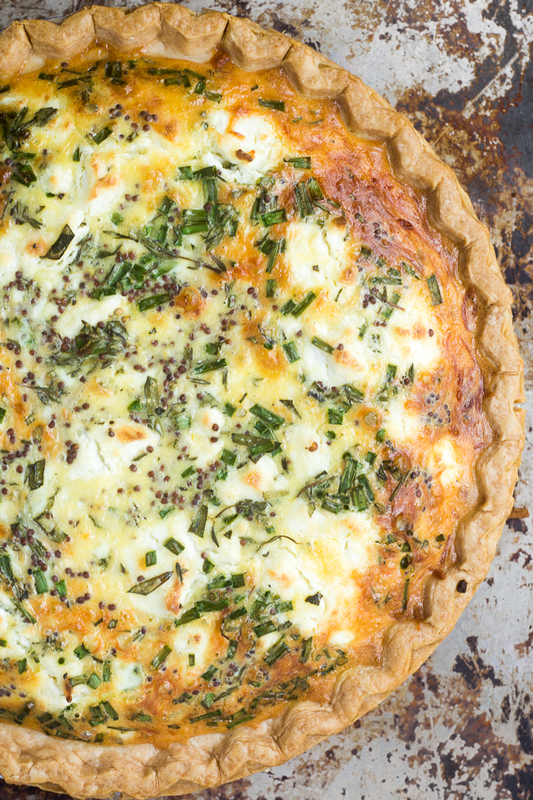 Quiche makes a wonderful dinner! And it’s even company worthy. If you are feeding a family crowd make a couple and add a great fresh side dish and you have dinner! That’s what I’m doing. You can see my Mile High Quiche HERE, an oldie but goodie post from my first year as a blogger. Wow, my photography has come a long long way! What’s lacking in the image department is made up with the oh, so yummy recipe! Onions and herbs are such a delicious combination! My chives are up in the garden so I’ll be using them. I love to have a family meal on Sunday. So whoever is around can come over and enjoy a meal and some quality time together. But I don’t like slaving in the kitchen. 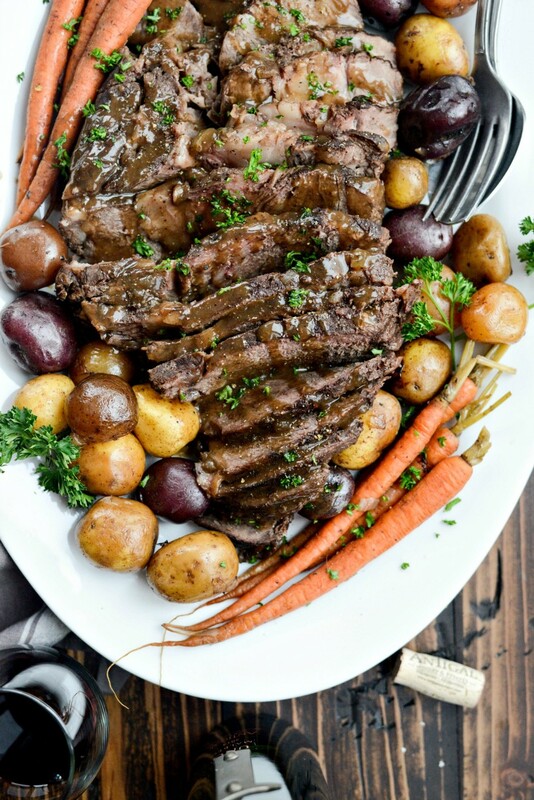 A pot roast (made with chuck roast- my favorite) is a great way to have a meal that is Sunday Dinner worthy and delicious! Take a look at how Laurie preps her food. So so smart! This delicious and easy shortcake is not served as a dessert at StoneGable. We add lots of milk and it is one of our favorite breakfasts. I guess you could eat it for dessert… or lunch… or dinner. It’s that good. 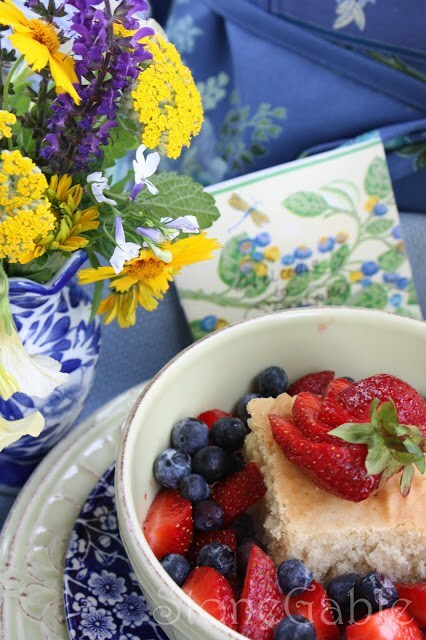 If you come to StoneGable as a weekend guest in the spring or summer you will probably be served StoneGable Strawberry Shortcake (or whatever berry is in season) for at least one breakfast! Hope you have a scrumptious week my friend! Thanks for sharing your recipe, I have tried several and I was not disappointed. me want to cook. Thank you Yvonne. Thanks Yvonne! All these recipes look good and not a big challenge for a quick meal. I absolutely love the Boss salad and will make it tonight and take to work tomorrow! Have a great week! Just following up on the “Boss” salad…WOW!! is all I can say!! It was a big hit and I told everyone where it came from. 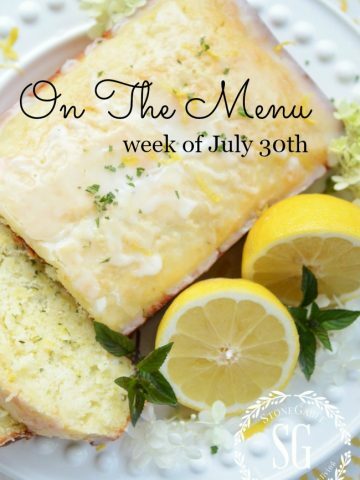 Most of my cohorts know I check in with StoneGable daily, so they were not the least bit surprised when I told them that Yvonne (Cecilia) posted it on this weeks menu! I really enjoy all your posts. They cover many of my interests! Getting my meals planned for the week with your input. Thanks! Love your recipes. I was so happy when you reinstated your menus and recipes. I had to start a new file for yours alone. Thanks. 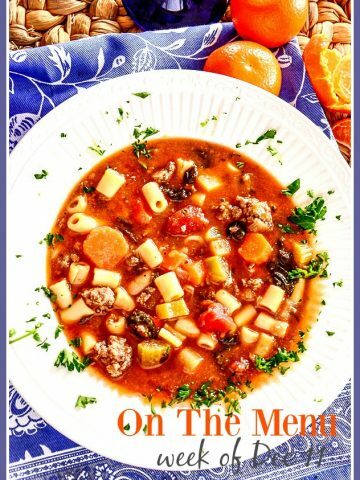 I get a lot of my recipes from you! And Pinterest. Almost every week I get at least two recipes from your On The Menu posts. Thank you for helping to plan my meals!!! I start my week with your meal plans, check the papers for the sales and try to make healthy choices for dinner. We’re trying to get back to eating more fish and having one meatless meal a week. Your recipes are fantastic! And like you I love to cruise Pinterest in search of something new. 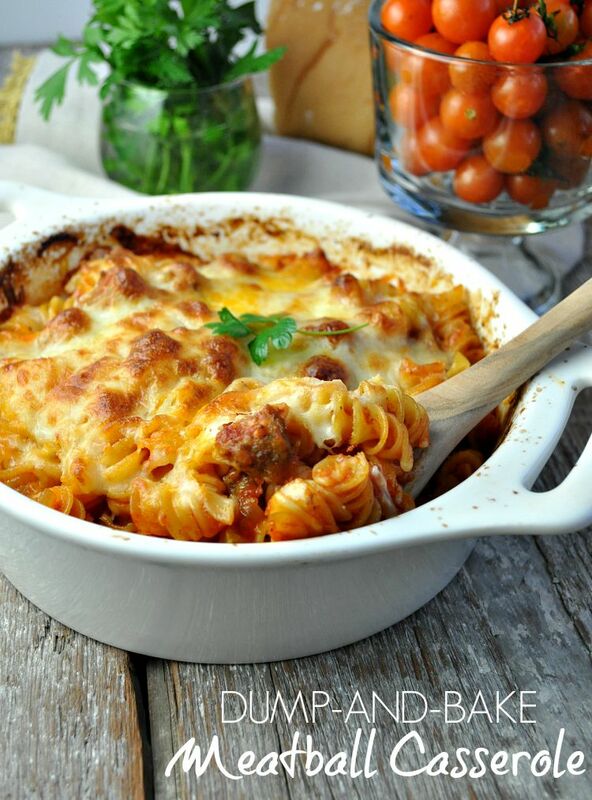 Sometimes when I make something new my husband will ask “is this a Yvonne recipe?” We’ve tried many and they are always a hit and usually become a favorite. Thank you so much!! I look so forward to your “On The Menu” posts each week. 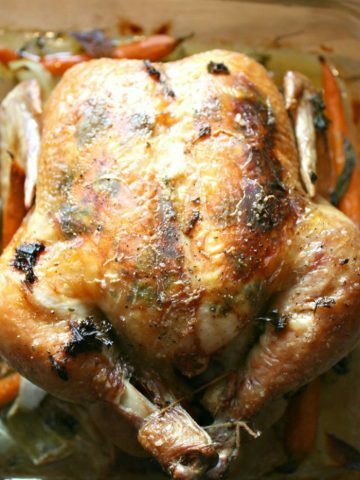 I have used so many of your recipes and have loved them! 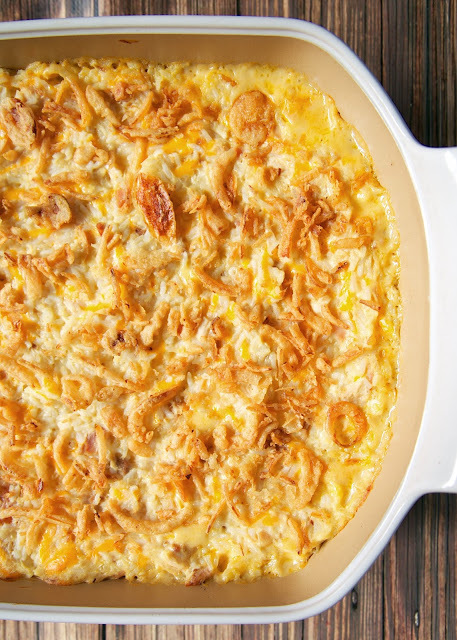 This week I will be making the quiche recipe and also the French Onion Chicken and Rice Casserole. Thanks for always sharing! You made my mouth water with all your delicious recipes!!!! Wonderful menu for this week!! I just bought halibut @ Costco so I can try the almond crusted halibut recipe!! The killer fajitas sound great also!! Thank you! 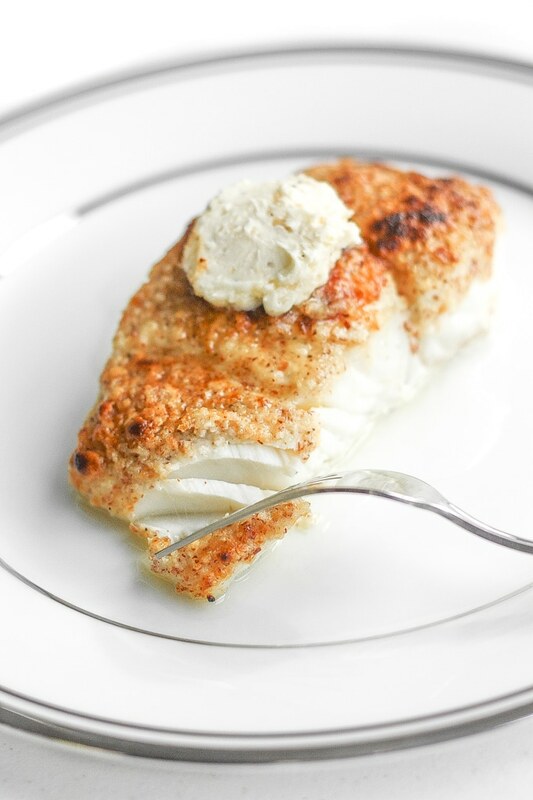 That almond-crusted halibut is just what I need. I have such a hard time finding new ways to do fish. Thank you!